So far the death toll is at twelve. 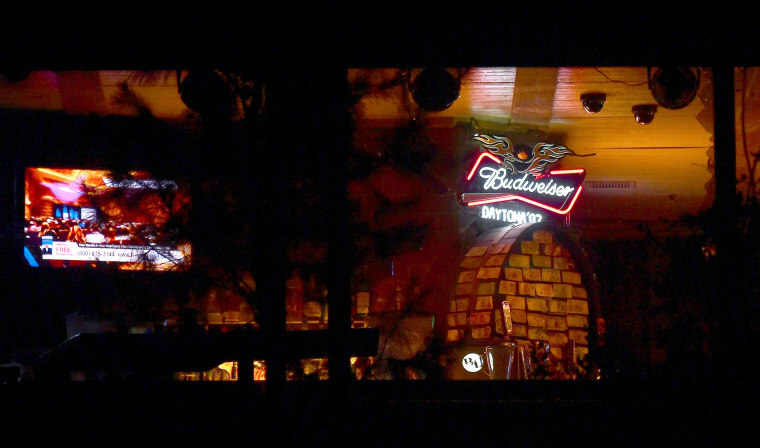 Reports indicate a gunman dressed in black (currently identified as a 29 year old heavily tattooed male) used a .45 caliber handgun to attack the 1,000 Oaks, Kommiefornia Borderline Bar known for "country line dancing" last night. Apparently, the cameras in the photo below did little to deter the shooter. Even TX forbids carrying in "Establishments where 51% of business is selling alcohol". There's where you need to ask yourself if obeying a stupid law is worth losing your life over. Personally, when I drink, I do it at home. California forbids firearms in "Establishments where the primary purpose is dispensing alcoholic beverages for on-site consumption." The business doesn't even have to post signs. But with a black x stamped on your hand, if your underage you can get in? Yep. Gun-free zone. Shooter went in his mom's car. How much more Californian can you get? It's Kali.... the whole state is a "gun free zone"..... For honest people. Laws need to be changed to carry in bars and liquor stores. Then we can have a "designated" concealed carry holder who does not drink. Why do we even have "gun free zones"? We just as easily could put up signs that read "Mass shooters, this is the place you are looking for", "unarmed sheeple only" or "attention all potential mass shooters, come on in and blaze away"